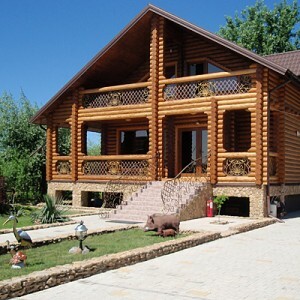 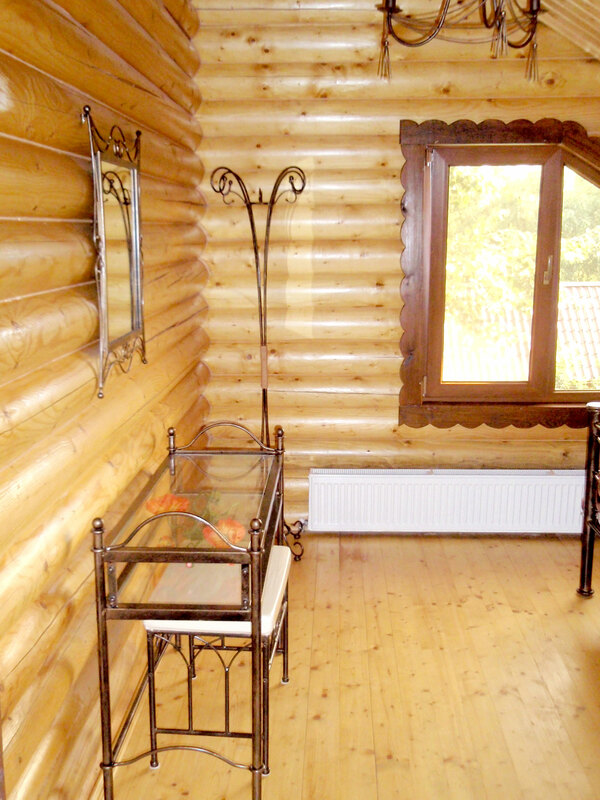 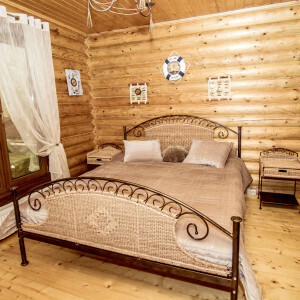 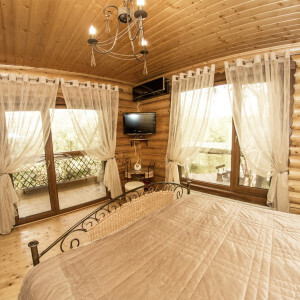 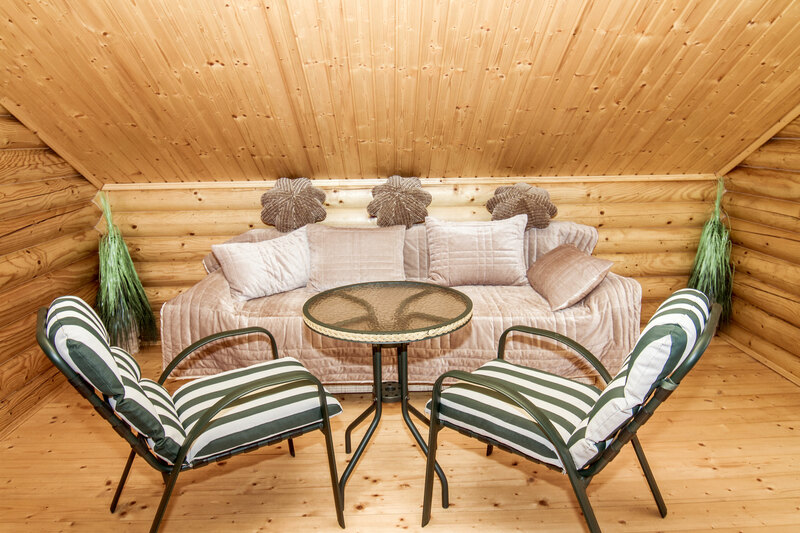 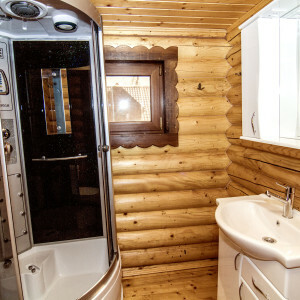 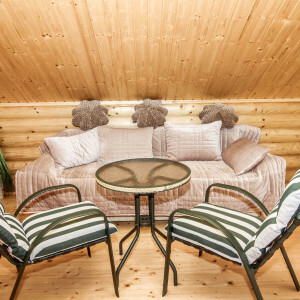 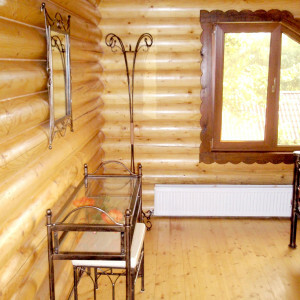 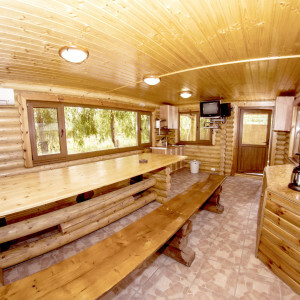 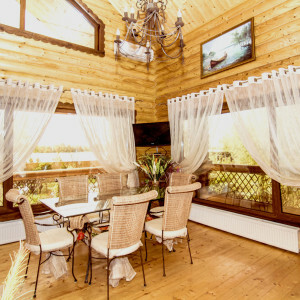 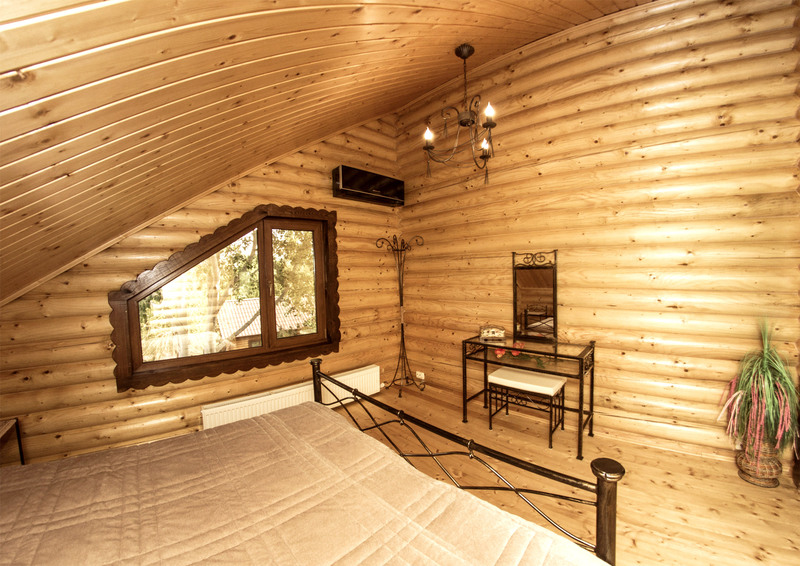 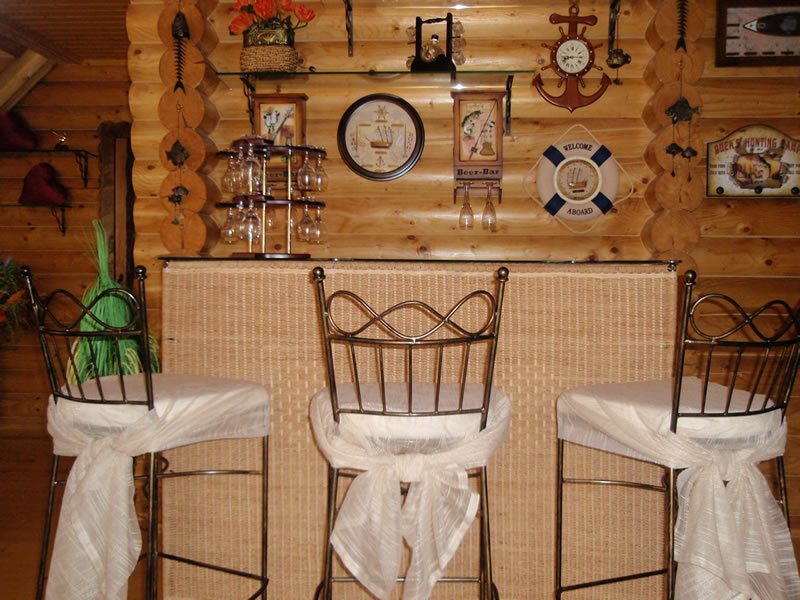 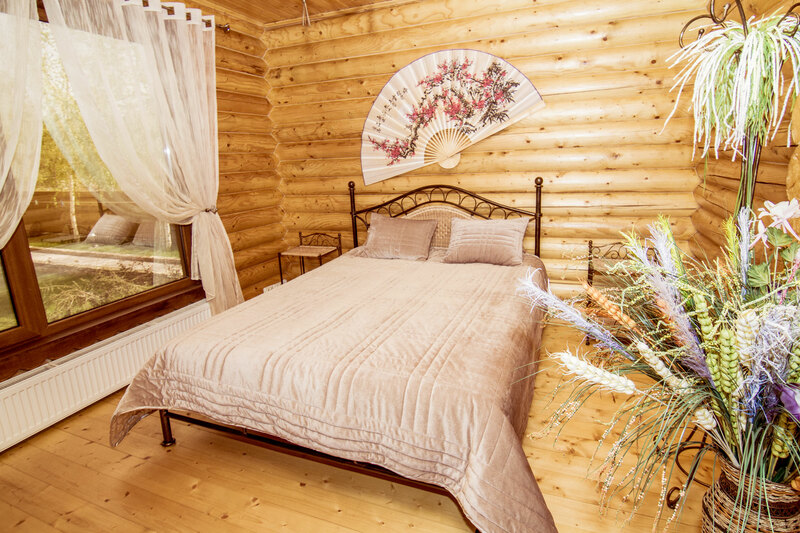 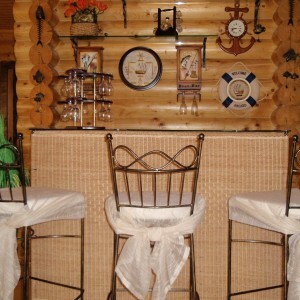 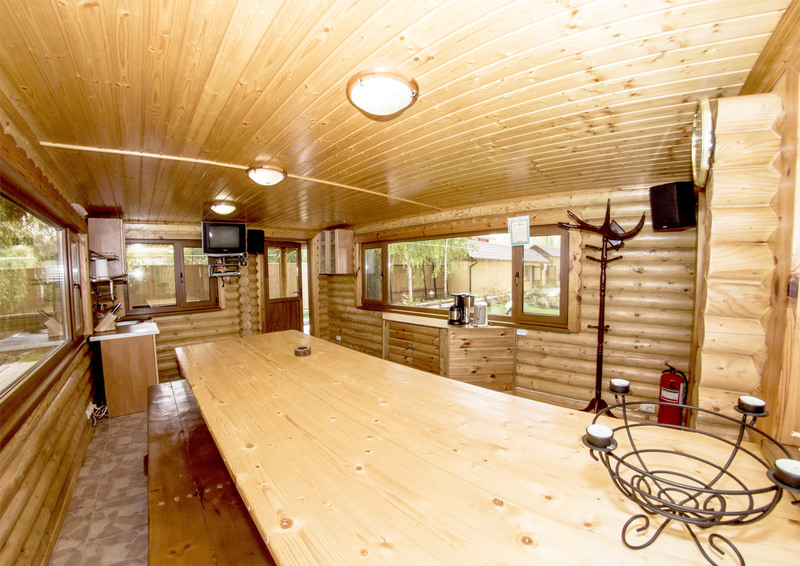 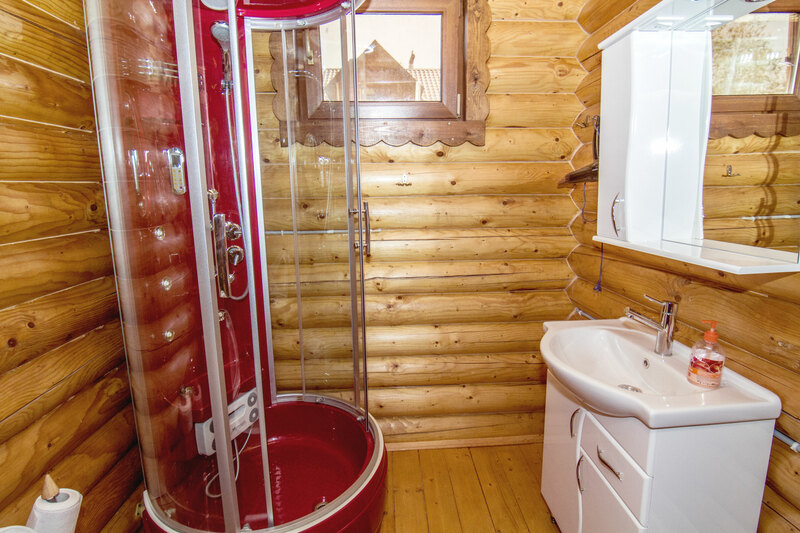 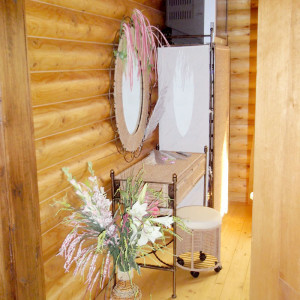 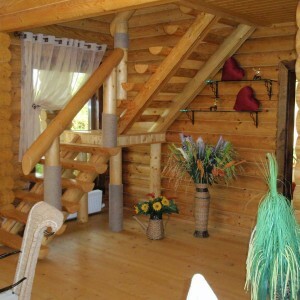 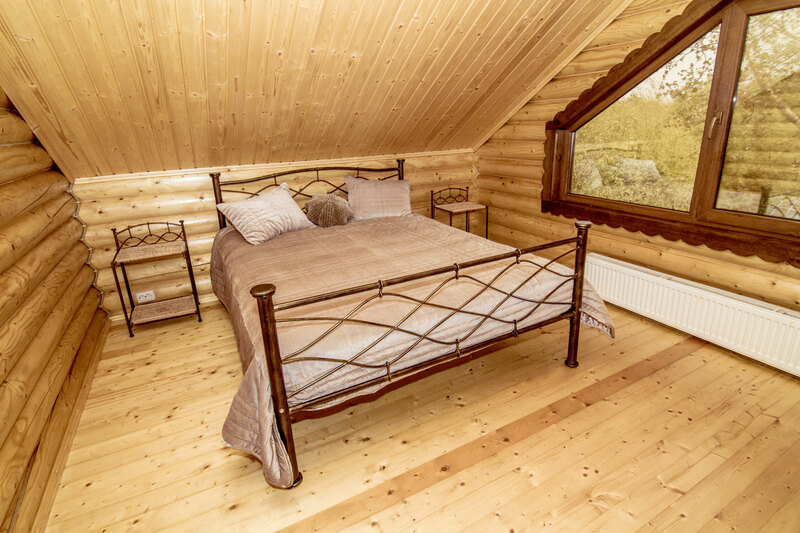 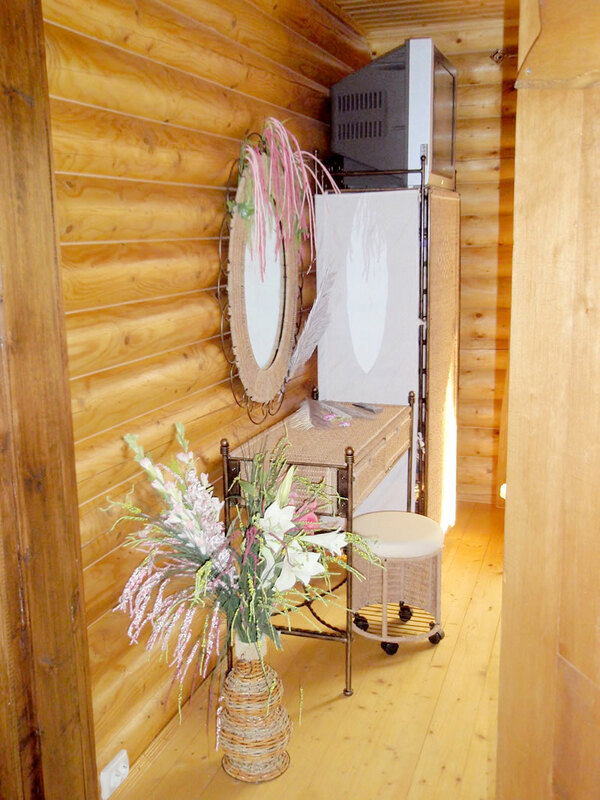 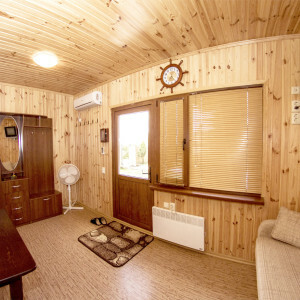 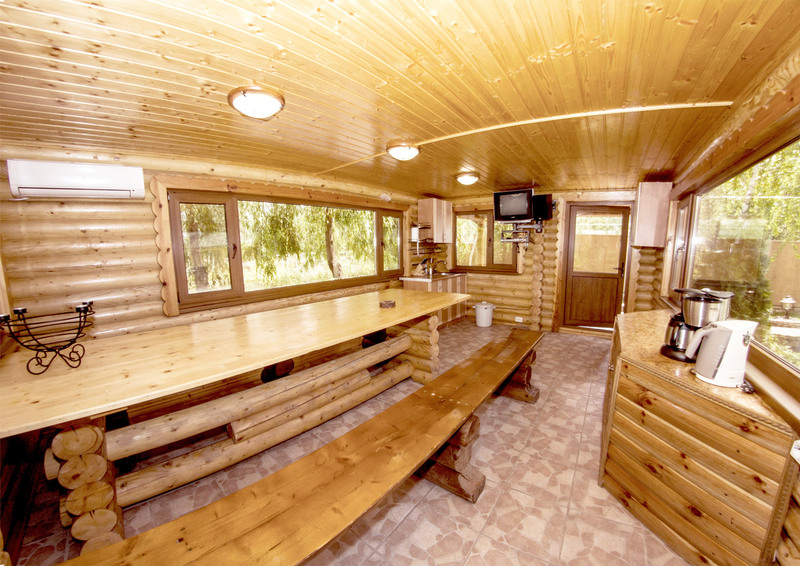 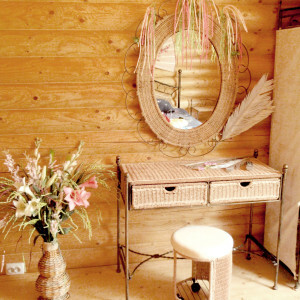 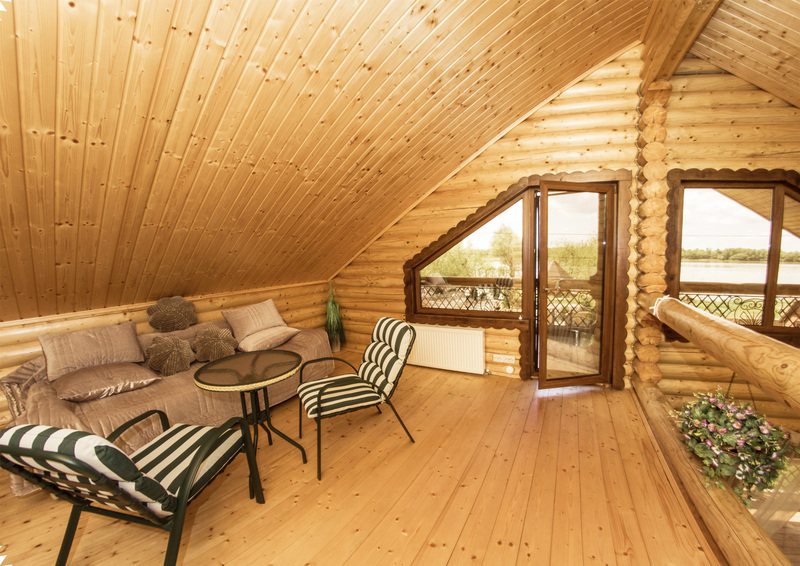 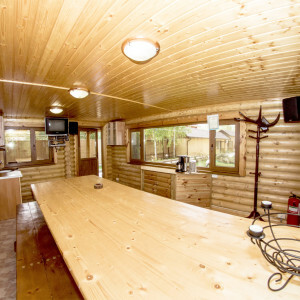 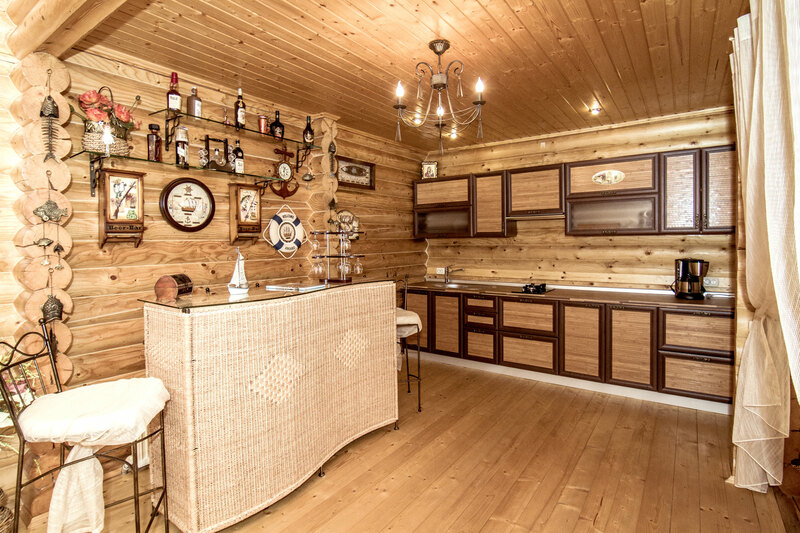 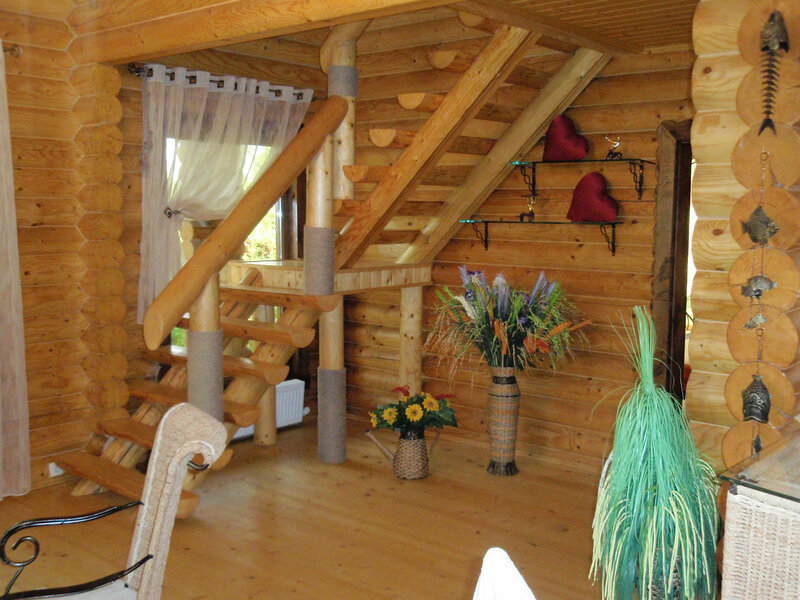 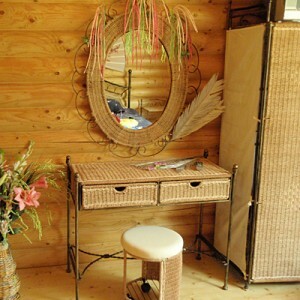 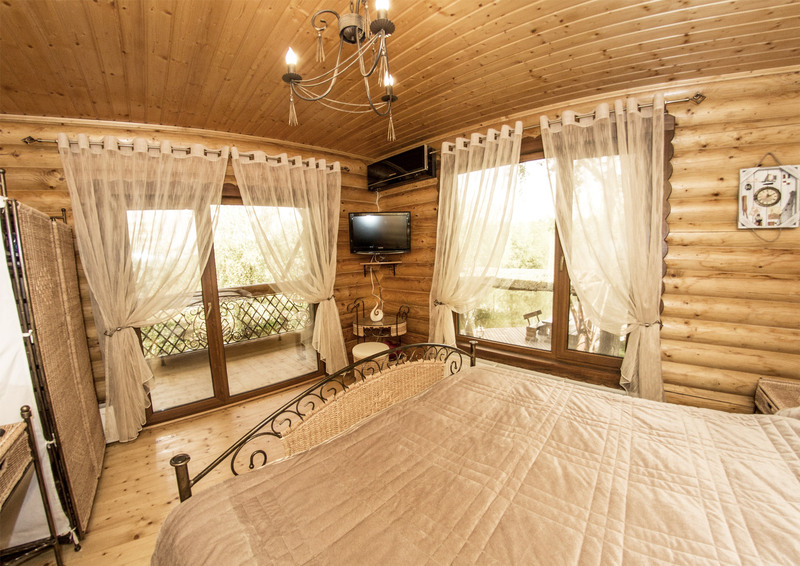 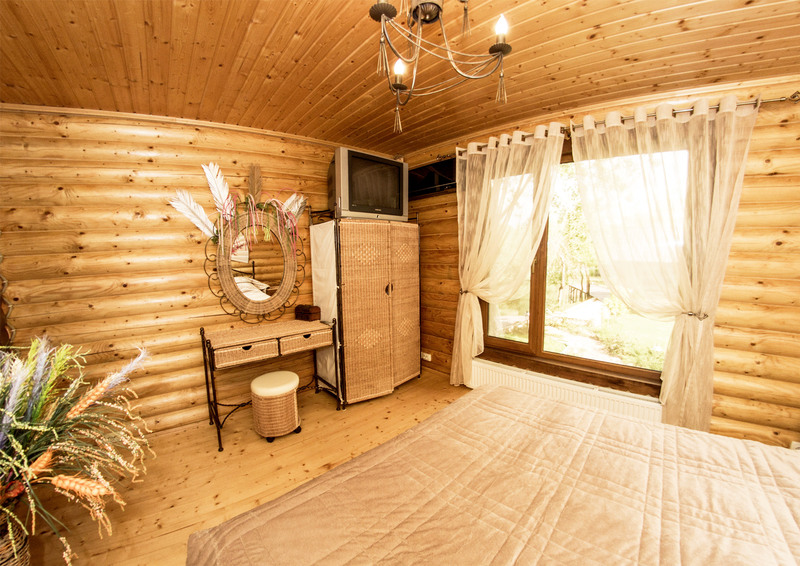 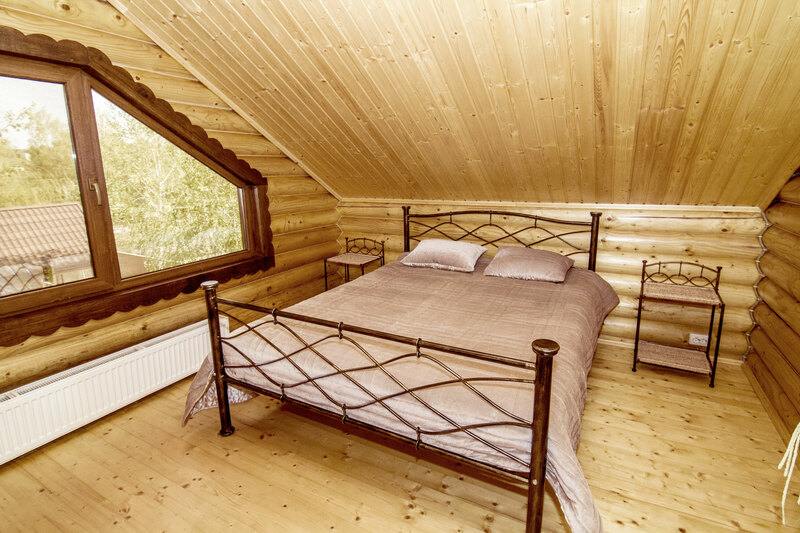 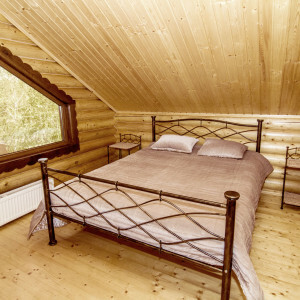 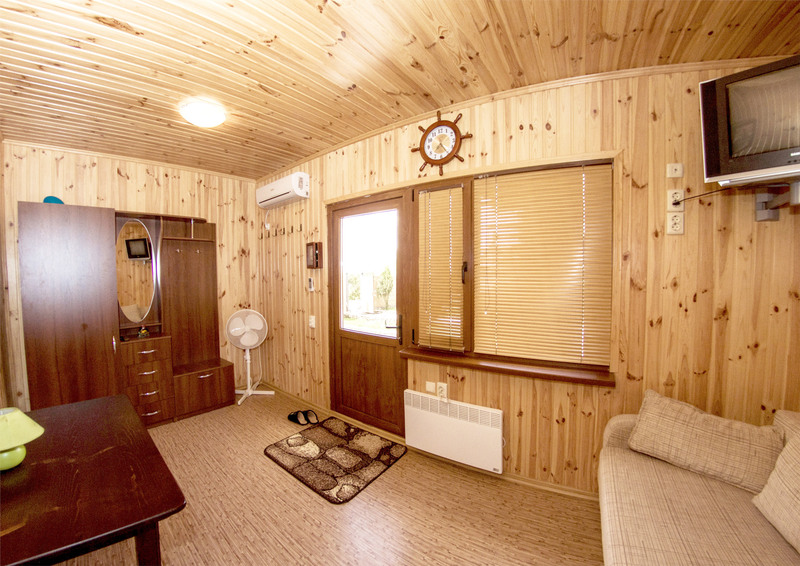 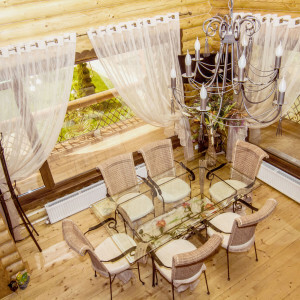 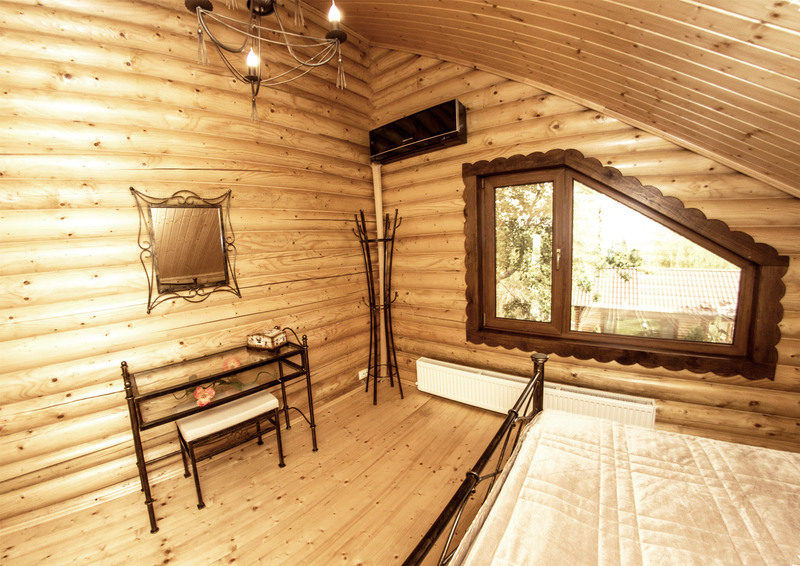 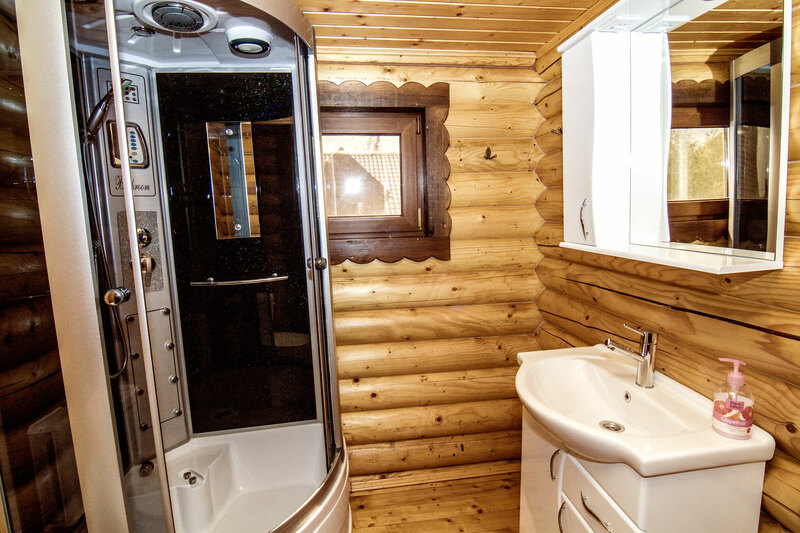 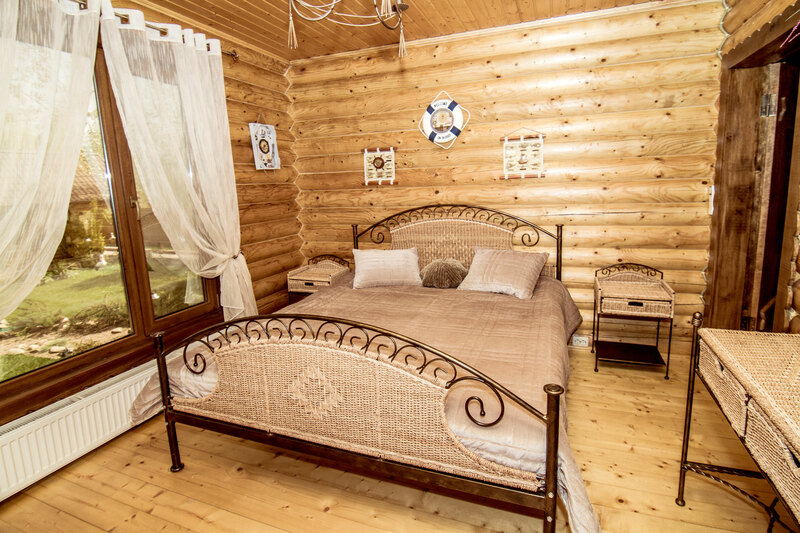 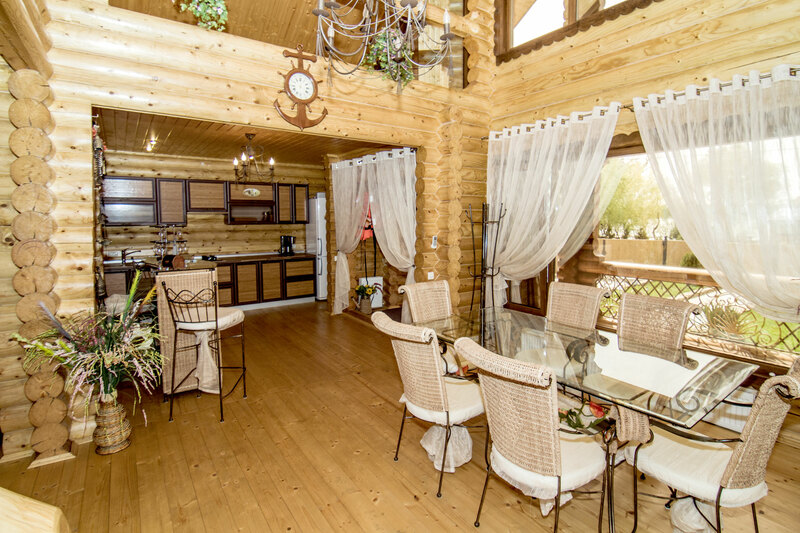 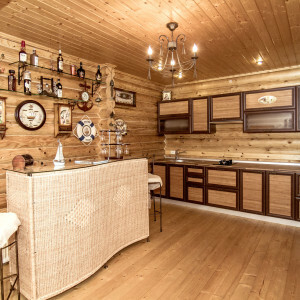 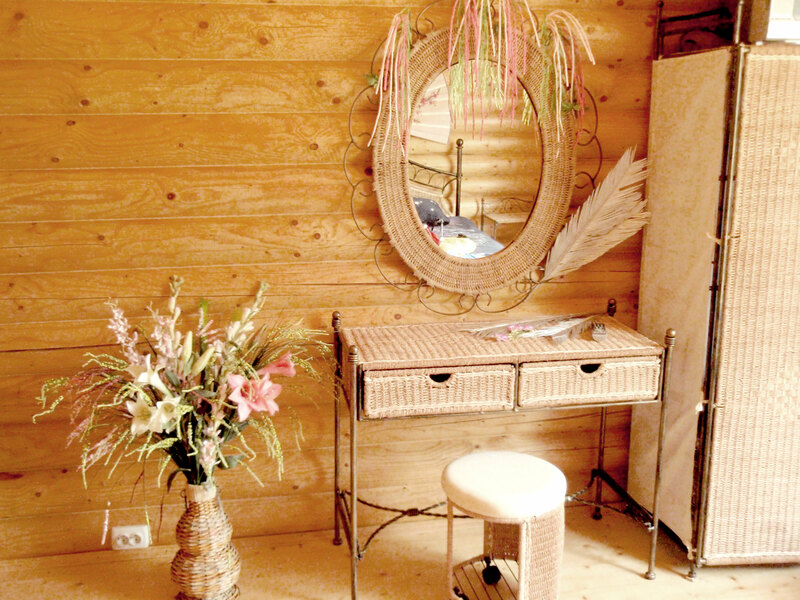 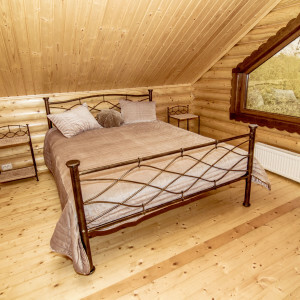 The interior of the log cabin is decorated in Art Nouveau (modern) style, representing a combination of natural log walls, stairs leading to the second floor, railings and modern household items make this place a snug home. 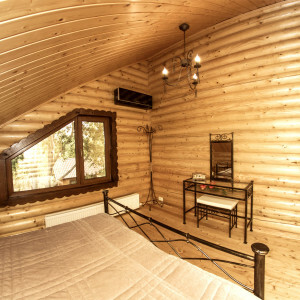 Four comfortable rooms, overlooking the still waters of the channel contain all necessary facilities for comfortable stay. 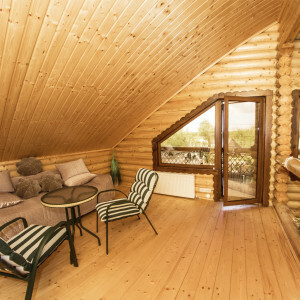 Two rooms are located on the first floor and two on the second floor. 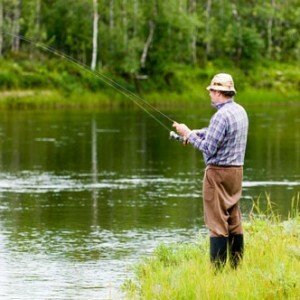 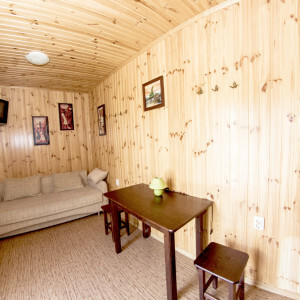 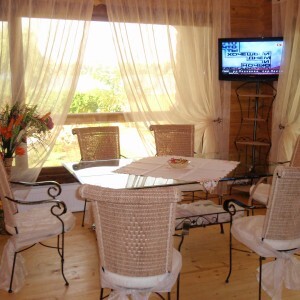 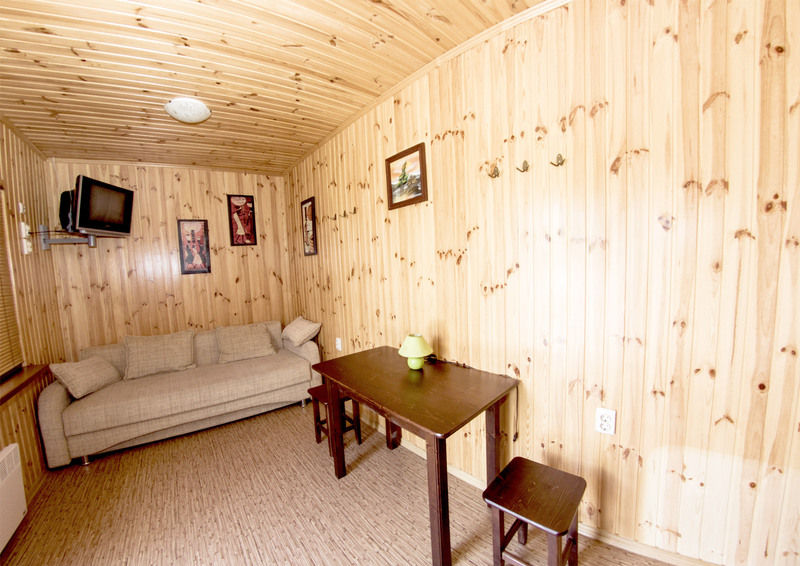 Each room has air conditioning, TV-set, cable TV, Internet, Wi-Fi, large double beds, cane chairs and wardrobes. 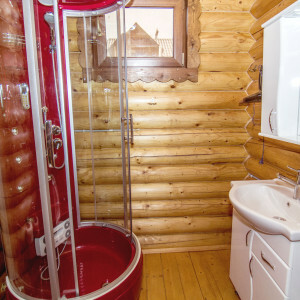 There are a toilet and shower rooms at each floor. 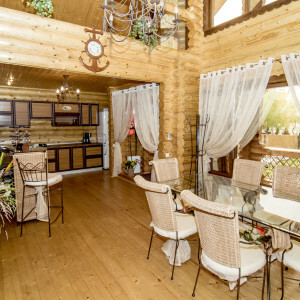 The first floor for guests is equipped with large and cozy hall with ornate furniture, TV-set, fitted kitchen and a refrigerator. 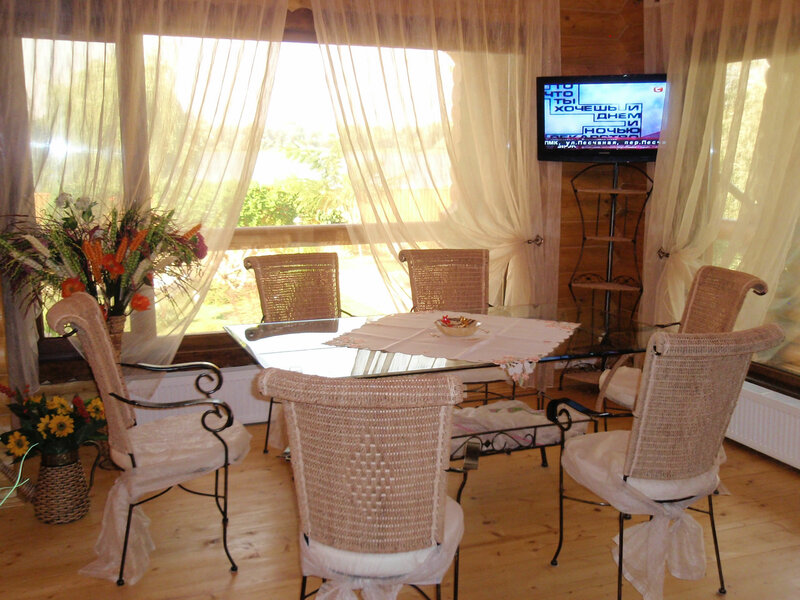 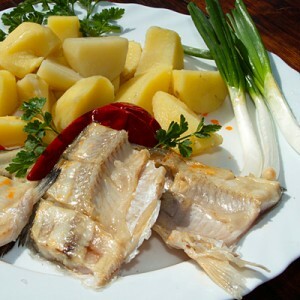 The second floor contains inner balcony where you can repose on a couch, admiring the beauty of the majestic Danube. 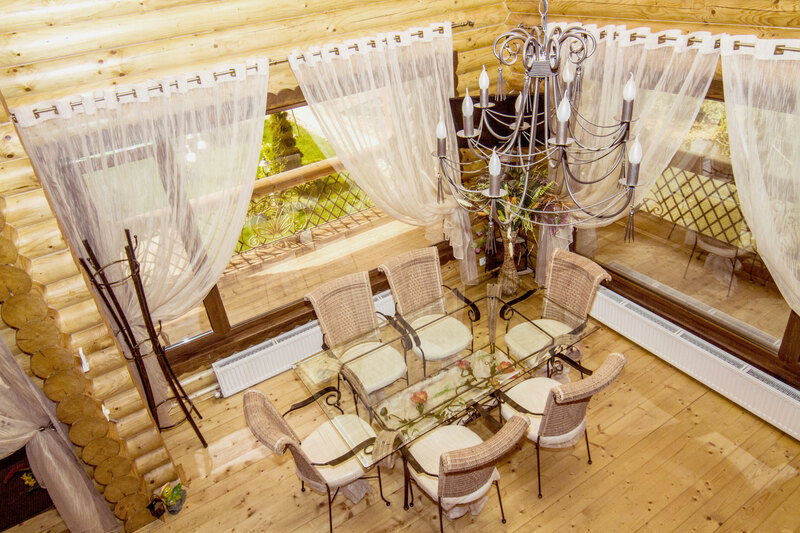 The balcony is designed so that it allows you to talk to your friends, resting in the hall. 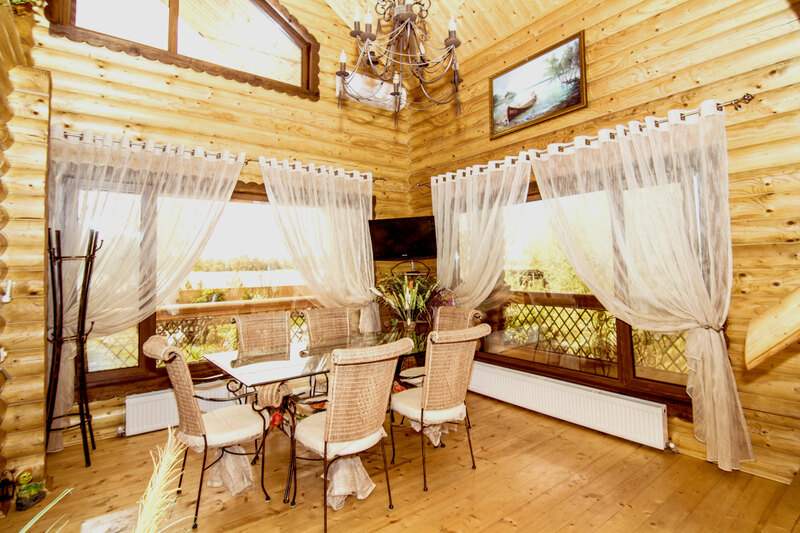 The first and the second floors are opening onto the terrace overlooking the Danube, where you can enjoy the birdsongs with a cup of coffee … and learn about the world of nature.